Let’s be honest, there wasn’t a lot of buying during November and if not for the last 2 games of the month I would have had a different heading for this article. Even with 2 wins to end the month the Islanders went a not so stellar 4-5-4 during the month, good for 28th in the NHL in points and last in the Eastern Conference, not exactly the start we were hoping for after finally winning a playoff series last year. A lot of the old habits have crept back into play, lots of late goals allowed, terrible special teams and the lotto ball machine line juggling. If this team wants any realistic chance of making the playoffs they are going to have to run off a serious win streak. Wow the whole article can be written just on this topic. From blaming late goal after late goal on “puck luck”, juggling the lines on what seems like an every game basis, burying your biggest free agent on the 4th line, his mishandling of Strome or refusing to remove Josh Bailey from line 1 even though he has a whopping 3 goals and is not scoring points at the pace Brad Boyes did with JT (when he was called horrible and awful by most of the fan base), it’s just 1 head scratching move after another. The last 2 games of the month may have staved off his removal for the time being, but I am not sure what is scarier: his decision making or his justification for those decisions. Regardless, it’s been ugly and I think most of the fan base believe at this point he needs to go. It will be interesting to see what happens and how long of a leash he is given if the Islanders stay near the bottom of the league. He’s a fan favorite and I am a big supporter, but let’s be honest, he has been brutal so far this year. A team worse -11, leading the team in penalty minutes and a lot of uncharacteristic mistakes. 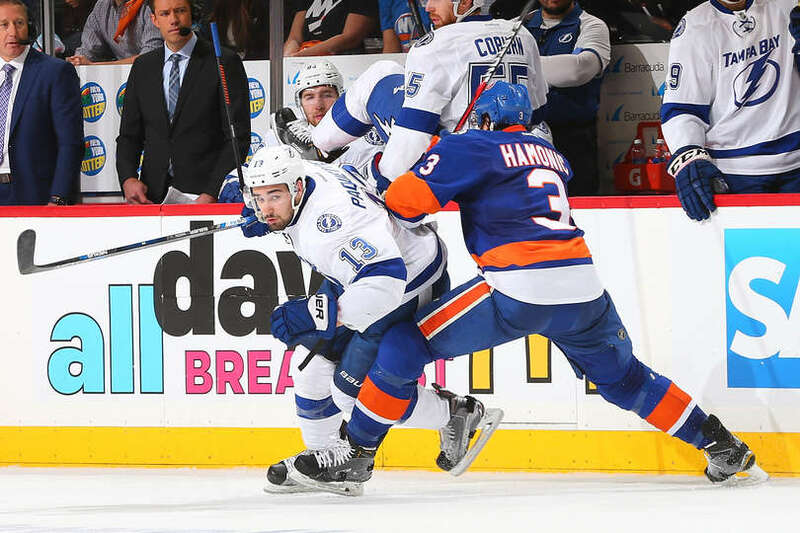 With the Islanders depth at defense and lack of scoring you have to start to wonder if not trading Hamonic for Taylor Hall was a mistake for a team who can’t seem to score goals. I think he will turn it around, but he clearly needs to be a lot better. After having a phenomenal World Cup performance, Islander fans were hoping that he would come back and be the dominant goalie he has been when he hasn’t been injured. 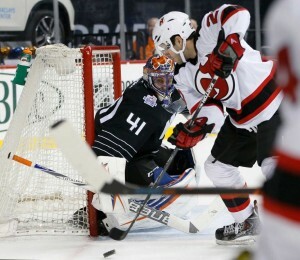 To date we have not seen that and he has been clearly outplayed by Greiss to this point. The tying goal at Florida was a very weak goal and has to be stopped even though he got absolutely no help from his defense. He won 1 game in the month in 8 tries, allowing over 3 goals a game and a save percentage that now stands at .904 for the year, not even good for the top 30 in the NHL. Word got out that he was available in trade and my guess is Snow wasn’t offered much. 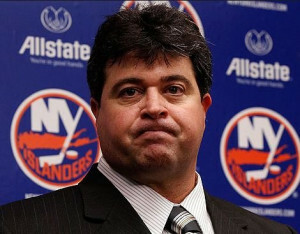 He clearly needs to be better if the Islanders have any chance to get back into the playoff race. Update: He played his best game of the year during the first game in December in Washington, hopefully this gets him on a roll. The defensive system under Capuano has driven me crazy and has led to many twitter outbursts by myself and others. The system seems to be stand in a spot and pray the goalie makes 20 saves in the 3rd period or 5 saves in the last minute with the goalie pulled. Most of twitter sees it, the other teams certainly see it, how does the coaching staff not see it? We saw it last year in game 3 versus Tampa where they played it like a penalty kill with 5 guys standing around leaving a guy wide open in the slot to tie the game and ultimately lose in OT. Heck even Butch Goring pointed out how passive the defense has been this month. If you watch the best defensive teams out there, they are pressing the puck, especially at the end of the game. The worst defenses are the ones that are too worried about making mistakes. Attack the puck and if a team makes 4 passes to hit an open guy so be it. These players are too good to stand in a spot and hope your goalie makes all the saves, it’s the same reason why the PK for most of Capuano’s tenure has been horrible and is once again horrible this year just above 80%. Even in the last game of the month against the Penguins they blew a 3 goal lead going to the 3rd before it even got to under 5 minutes left. Why don’t they ever change it? Aggressive defense>>>>Passive Defense, now someone please tell Capuano. 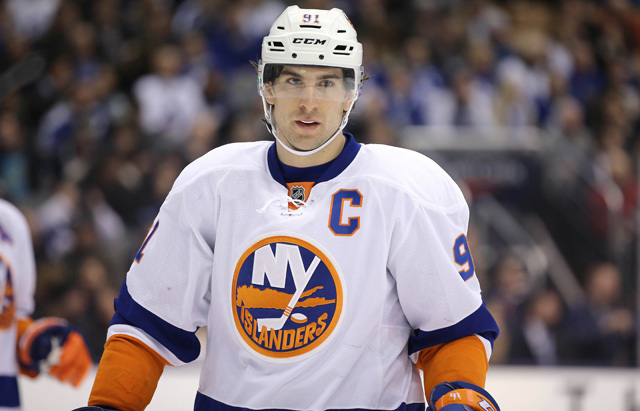 Well I have to have at least 1 positive thing for the month and that remains John Tavares. A team leading 10 points in the month even though one of his wingers can’t score and the other changes on a nightly basis. I think the recent move of Nelson up to line 1 is a good thing, now they just have to deal with the other winger, someone who can score and require the defense to pay attention to. Do we miss Kyle Okposo now? I certainly do. The big worry now is does the team being this bad play into his restricted free agency after the 17-18 season? Maybe it’s time to put Lee with him who seems to have the scoring touch lately. I doubt it happens, but one can dream. After 3 power play goals in October, the Islanders followed up with another stellar 5 goals in the month of November, going 5 for 41 during the month leaving them 8 for 66 on the year or 12.1% on the year. Bailey extended his impressive streak of 1 point on the PP to over 2 full games of hockey, nearly 125 minutes, until finally he recorded a secondary assist on a Nick Leddy power play goal versus Florida. For as awful as he has been Capuano inexplicably gave him over 40 min of power play time during the month where he amassed a whopping 3 points. Until he comes off PP1 I don’t see this getting much better, the other teams know he can’t score and it gives them 1 less player to worry about. Nelson has finally gotten more PP1 time as I suggested last month, but it’s time to replace Bailey with Lee on unit 1 and add a player who goes to the net and actually can score. The Islanders in recent years have been a fantastic road team, but 1 win in 8 tries on the season is just not acceptable. The only win the Islanders have on the road through November (1-3-1) was the marathon 14 round shootout in Anaheim. The game in San Jose was especially depressing as the Islanders scored a rare extra skater goal with 58 seconds left only to stand around and watch San Jose score 35 seconds later. To have any real shot at the playoffs you have to be near .500 on the road, the Islanders have a long way to go.